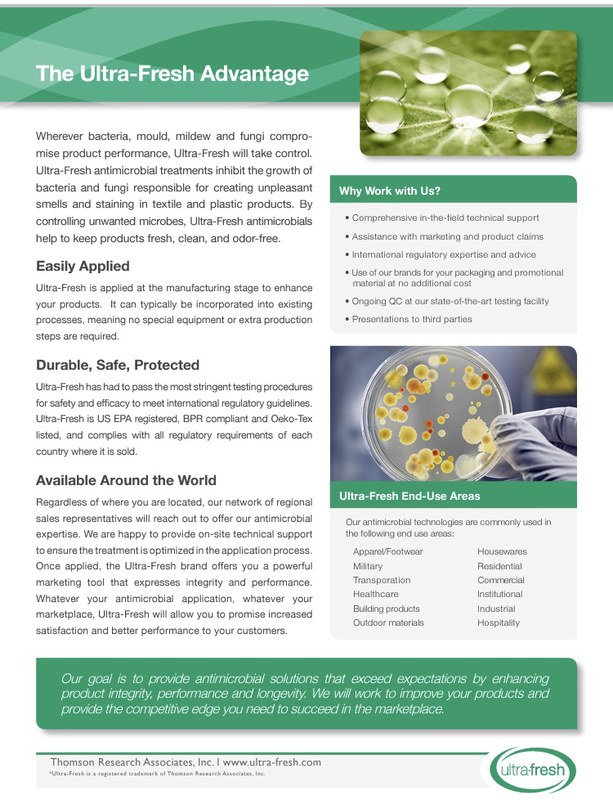 Protective Technology has been the Australian distributor for Ultra-Fresh for over 20 years. If your business produces products that require freshness protection against odour causing microbes or protection against mould and mildew – the solution could be Ultra-Fresh. 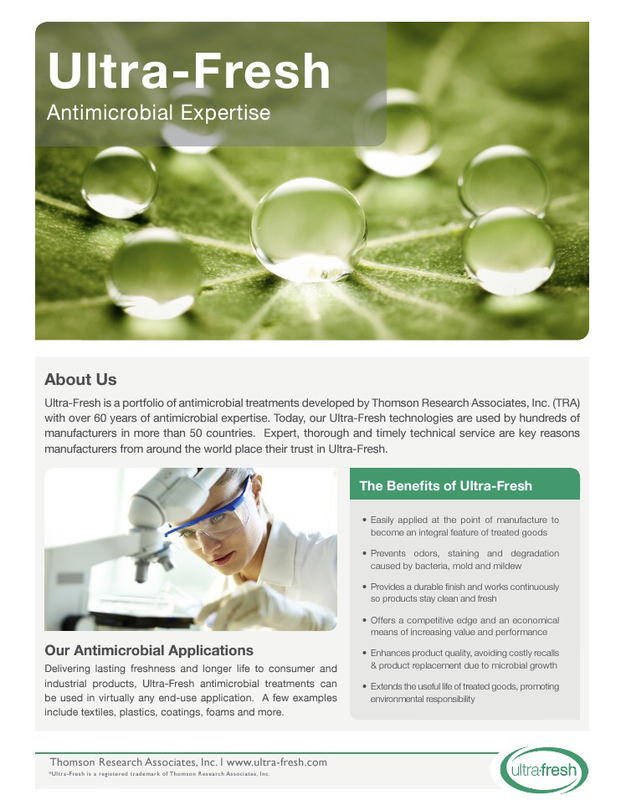 Protective Technology and Ultra-Fresh a proud partnership.